Among the many stories emerging in the Memorial Day glut of news was Thursday’s acquisition by Paddy Power Betfair of the second-largest daily fantasy sports (DFS) brand, FanDuel. It’s an interesting deal, awash with both a big upside and downside. On its surface, of course, the pickup makes sense for Paddy. The company is set to be one of the major Euro invaders — meaning that in a friendly sense — as the United States begins its state-by-state rollout of legalzed sports betting over the next several years. William Hill US has a head start in that category, perhaps, but rgardless of what one thinks of the DFS space itself, getting access to FanDuel’s very current database of active and enthusiastic sports bettors has to have significant value, with the company’s ongoing activity to be organized under PPB’s Betfair US brand. A statement issued by Peter Jackson, CEO of Paddy Power Betfair, probes at exactly that. 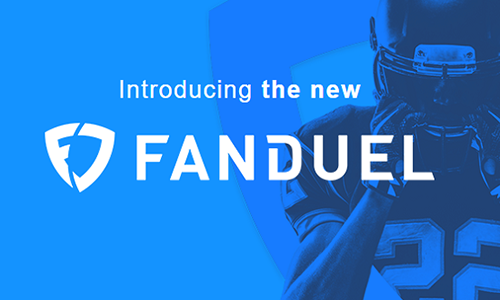 “We are excited to add FanDuel to the Group’s portfolio of leading sports brands,” said Jackson. “This combination creates the industry’s largest online business in the US, with a large sports-focused customer base and an extensive nationwide footprint. Yet exactly how much FanDuel is worth is a larger question here than in most such business deals. It’s interesting to note that FanDuel’s corporate announcement of its own sale to Paddy offers not one whit about how much the deal is worth. For some insight on that, one has to move instead to Paddy Power Betfair’s financial disclosure regarding the deal, as required under London Stock Exchange securities regulations. Under the agreement, the Group will contribute its existing US assets1 along with $158m of cash. This cash contribution will be used to pay down existing FanDuel debt (net debt of $76m at 31 March 2018) and fund working capital of the combined business. Upon completion of the transaction, the Group will own 61% of the combined business, with existing FanDuel investors owning 39%. All material FanDuel investors are rolling their investment into the combined business. A mechanism has also been agreed to take the Group’s ownership of the business to 80% after three years and 100% after 5 years, consisting of call and put options at the prevailing market valuations. The Group will have operational control of the business, which will become a fully consolidated subsidiary, and will have the right to appoint the CEO and a majority of the Board of Directors. Existing FanDuel investors will continue to have Board representation. “Net debt of $76m” probably isn’t as deep a bucket of crimson ink as that amassed over at DraftKings, but it’s still a hell of a hole. That FanDuel has been there for the taking as an underwater company also isn’t news; FanDuel’s been floating along, looking for a suitor ever since its earlier tie-up attempt with DraftKings fell afoul of monopoly concerns last year. Is FanDuel worth it? Are the assets that valuable? Despite the DFS’s bravado following the SCOTUS ruling in the PASPA matter, there’s a decent chance that the entire DFS niche might just shrivel up and die, its shrinking core of stat crunchers feeding on itself in much the same way that HUNL cannnibalized itself in online poker. That possible negative future looks even worse in the wake of Monmouth Park using DFS’s alleged federal illegality as part of the track’s legal claims against the US’s major sports leagues. That’s going to be a past-damages thing, however; as sports betting becomes legal, state after state, DFS will come along for the ride. It’s hard to be bullish about DFS’s chances in the long run. The niche developed to exploit an apparent legal loophole, and now the rope that formed that loophole has been shredded. There’s no longer any “why” behind daily fantasy sports’ existence. Viewed in that way, Paddy Power Betfair may have paid a hefty price for FanDuel’s corporate assets, which really means its player database and some US-based infrastructure. We’ll see soon enough how expensive this ticket to play turns out to be.